The dangers of driving while drunk or distracted have been so thoroughly demonstrated that they’ve become ingrained in modern consciousness. But should opioid abuse — the source of rising public alarm — be added to the list of major contributors to traffic hazards? Addiction and mental health researcher Christine Wickens of the Toronto-based Centre for Addiction and Mental Health (CAMH) and a team of psychological and public health researchers set out to answer that question, investigating the prevalence of people driving under the influence of prescription opioids (DUIPO), and the relationship between DUIPO and collision risk. Wickens and colleagues report that Canada has the second-highest rate of opioid use per capita, after the United States. This means that opioids and driving safety may be a large public health concern, but studies so far have been mixed as to the effects of opioids on driving. These scientists took advantage of the Monitor survey, an ongoing questionnaire administered to Ontario adults. The survey is conducted by CAMH, which is Canada’s largest mental health care teaching hospital. The opioid-driving researchers examined survey results from 2011 to 2016 and included self-reports from 7,857 respondents. Among general questions about daily behavior and drug use, the survey asked respondents about their use of prescription pain medication in the year leading up to the study. The survey included questions like “During the past 12 months, have you driven a motor vehicle after taking any in the previous hour?” and clarified that the question was about drugs like Percocet, OxyContin, and Demerol (opioids), rather than ibuprofen or other over-the-counter pain relievers. About 3% of all respondents reported they had driven within an hour of taking prescription pain relievers. Among those who used prescription pain relievers regularly, 14.4% reported driving after taking opioids. The survey also found reports of accidents related to the use of opioids. Of all drivers surveyed, 6.3% reported being involved in a vehicle collision in the past year. Among those who reported driving under the influence of prescription opioids, 10.8% said they had been involved in a collision. It is important to note that the researchers didn’t ask about opioid use immediately before car crashes. Rather, they only asked about opioid use and driving in one question, and about recent collisions in another. The researchers found patterns within their results that paint a more detailed picture of Canadian drivers and opioid users. Drivers between the ages of 18 and 34 were more likely to have been in a collision in the past year than those ages 35-54, who were more likely to have been in a collision than those older than 54. This fits with a breadth of research on risk-taking and age. In a 2016 research report appearing in Psychological Science, for example, psychological scientist Rui Mata of the University of Basel in Switzerland and colleagues mapped risk-taking behaviors over the life span of 147,118 survey participants in 77 countries. They found that, in the vast majority of countries, risky behaviors peak in adolescence and decrease as people age. The data for this new study was collected in Ontario so the prevalence of DUIPO may vary in other parts of Canada and the world. Wickens and colleagues write that research should inform efforts to curb DUIPO. Despite the differences in risk-taking over the life span, opioid use in Canada is most prevalent in those ages 65 and older, and greater in women than men. Public information campaigns should take these factors under consideration to target their messages. “Differences in personality (e.g., impulsivity, sensation seeking, hopelessness), attitudes toward DUIPO (e.g., risk perception), and normative influence (e.g., perception of DUIPO as common among one’s peers) are associated with increased risk for DUIPO,” the researchers added in a report on their findings, citing prior research in the field of substance abuse. 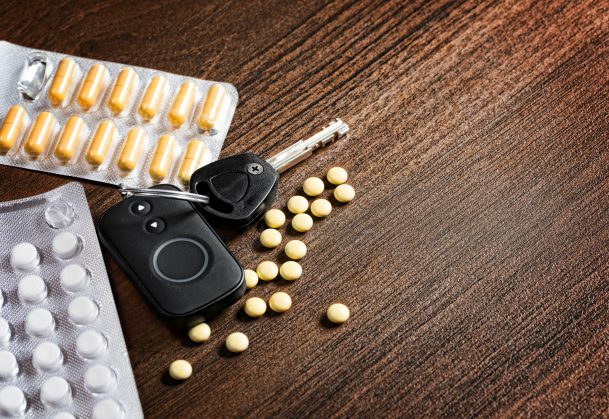 If this survey accurately represented the rest of Ontario, more than 300,000 Ontario drivers may have driven under the influence of opioids in the past year, Wickens and colleagues write. Figuring out which messages and actions resonate with opioid users and drivers might be the key to preventing thousands of crashes.